You want to start of the year with a bang and make sure you are prepared for anything that gets thrown your way. We have a few ideas and products we think every girl needs when venturing into the new year. First off you’re going to need a marker…a brow marker. Use this marker to fill in those sparse brows to make them look fuller. The fuller the better! Remember the simple days of coloring in class? Well we want you to trade out those regular crayons for some lip crayons! These will come in handy when you need that extra pop of color to finish off your look. There’s no need to worry about making a mistake when you can fix it with an eraser! A make up eraser that is. You can quickly remove or correct small makeup smudges and mistakes without having to take off the rest of your makeup. It’s easy and is definitely an essential when you’re rushing for time in the morning. Don’t forget about your paint brushes, these are also necessities to help you get the job done right. Having the right set of brushes can not only make applying make up easier, but in the end it will look better too! How about some finger paint? Or better known as nail polish. Pretty nails are definitely a must have, especially with all of the typing and writing you will be doing in your classes! Your mom probably told you to never run with scissors. She was definitely right about that, don’t do it! But we think it’s a good idea to have cuticle scissors to make sure not only your nails look good but your cuticles do too! Now that you have your marker, crayons, eraser, paint brushes, finger paint, and scissors, we think you’re ready to start off the year! 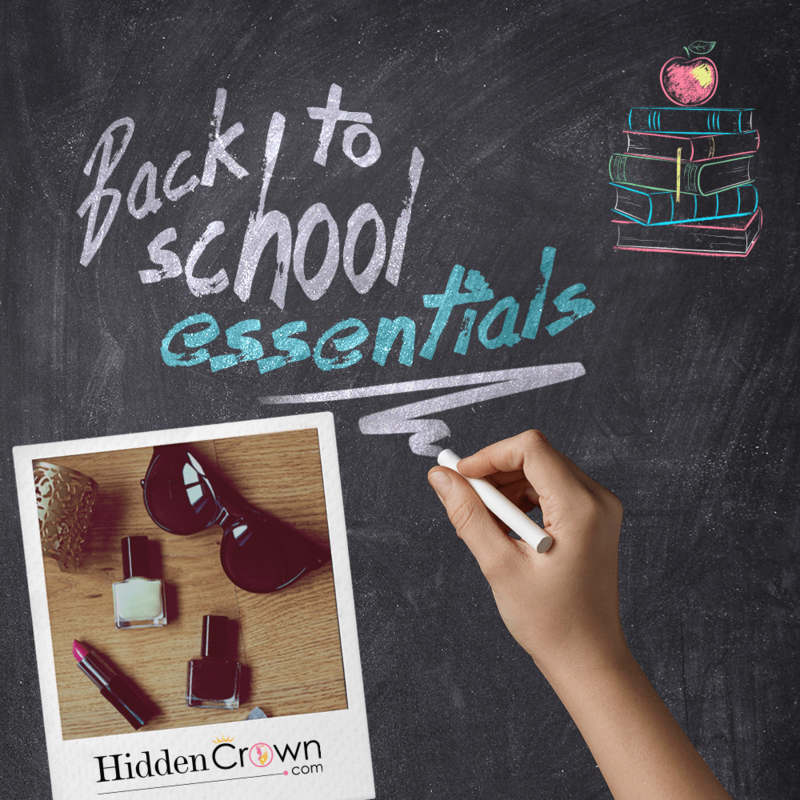 You have all of the tools to make sure you’re looking and feeling your best to rock it at school this year!